MAC Sports has become synonymous with recreational furniture and equipment. Founded in 1993, MAC Sports has grown into one of the largest manufacturer and distributor of collapsible folding furniture in the world and has branched off into other product categories - i.e. garden furniture, juvenile furniture, etc. This growth has been driven by and will continue to be governed by product innovation and unparalleled attention to quality. Our products are the Newest and one of the Best! 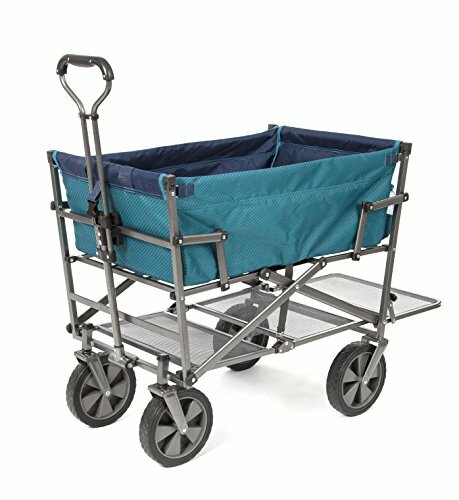 CONVENIENT COMPACT STORAGE - Wagon folds to only 8" Thick! Folded size approx. 29.5" x 20" x 8"
EASY TRANSPORT - Perfect for hauling gear to outdoor sporting events, concerts, trips to the park and great for use around the house. Please note that it is not made to transport children.